CyberpowerPC Inc. www.CyberpowerPC.com , a global manufacturer of custom gaming machines and Intel’s 2011 Performance Client Innovation award winner, today announced it will feature the new NVIDIA GeForce GTX 680 graphics card, the fastest single GPU video card, across its entire desktop gaming PC line. The GeForce GTX 680 offers the fastest, smoothest and richest graphics experience of any single GPU on the market with its eye-popping visual technologies, blazing performance and superior power efficiency as well as support for multiple displays including NVIDIA’s stereoscopic 3D Vision technology. The GeForce GTX 680 series also supports NVIDIA 3D Vision and NVIDIA Surround, which bring a fully immersive stereoscopic 3D experience to the PC. In addition, you can stream 3D movies and 3D digital photographs from 3DVisionLive.com in eye popping, crystal-clear quality. NVIDIA Surround allows you to expand your PC games across three displays in full stereoscopic 3D for the ultimate “inside the game” experience. Additional support is included for NVIDIA SLI Technology; PhysX Technology; CUDA Technology and Pure Video HD – all of which offer amazing performance for scaling games across multiple GPUs, more realistic gaming experiences through GPU acceleration and precise HD image scaling for games, movies and video. CyberpowerPC’s Fang III gaming PCs also have standard support for HDMI and PCI Express 3.0 bus architecture, which offers the highest data transfer speeds for the most bandwidth-hungry games and 3D applications, while maintaining backwards compatibility with existing PCI Express motherboards. 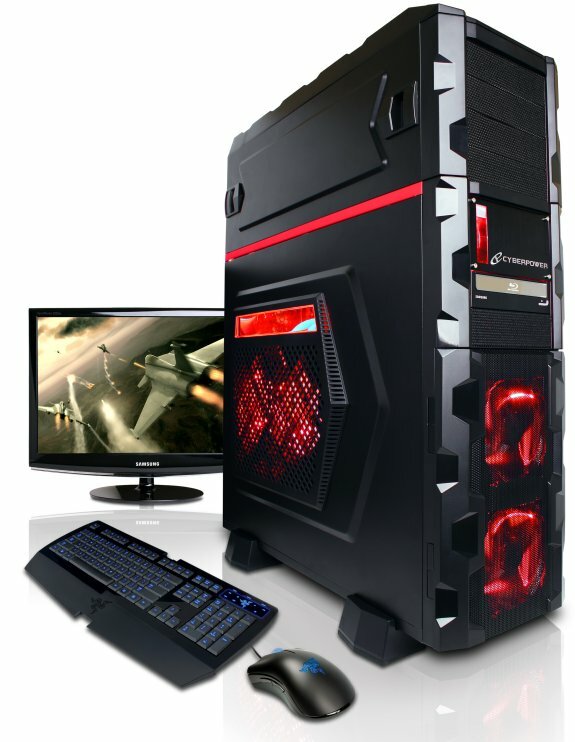 With the implementation of the GTX 680 into the Fang III Black Mamba system, gamers can enable stereoscopic game play and content creation simultaneously with the Overclocking Media Control Center option. Additionally, Fang III Black Mamba gaming systems will incorporate the liquid cooled version of the GTX 680 for maximum heat dissipation.